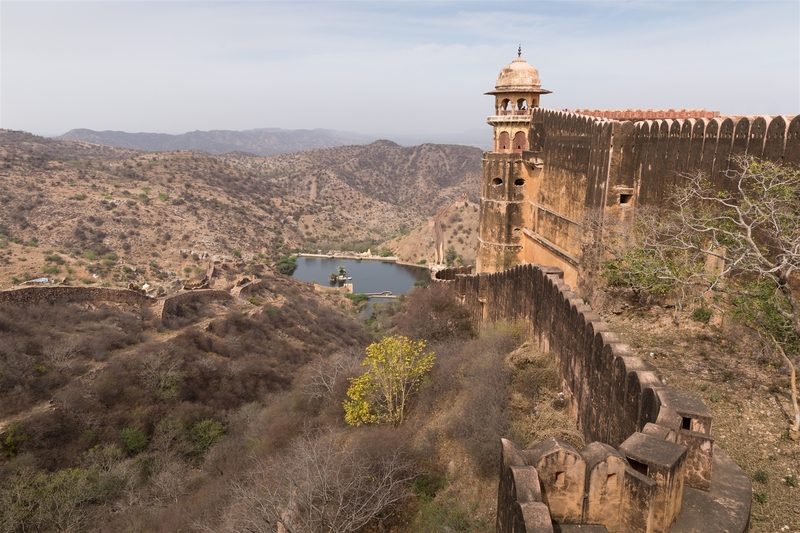 The Jaigarh Fort is a majestic stronghold built by Sawan Jai Singh II. 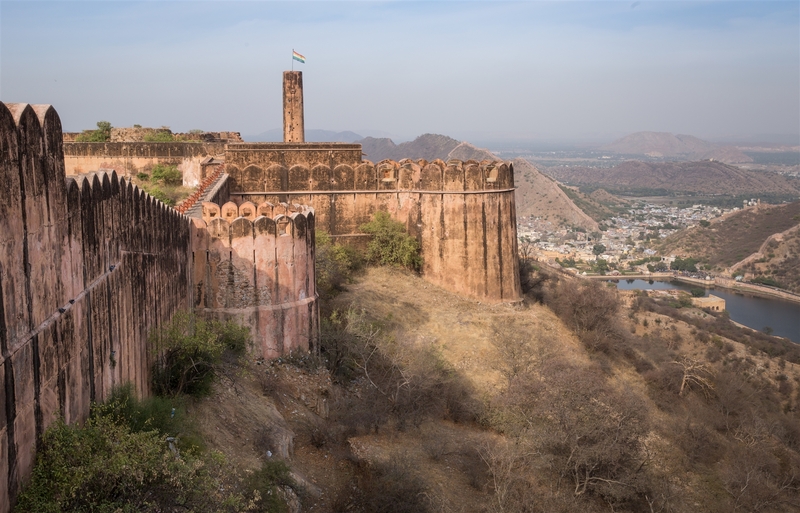 This almost-intact fort is surrounded by huge battlements and is connected to the Amer Fort with subterranean passages. 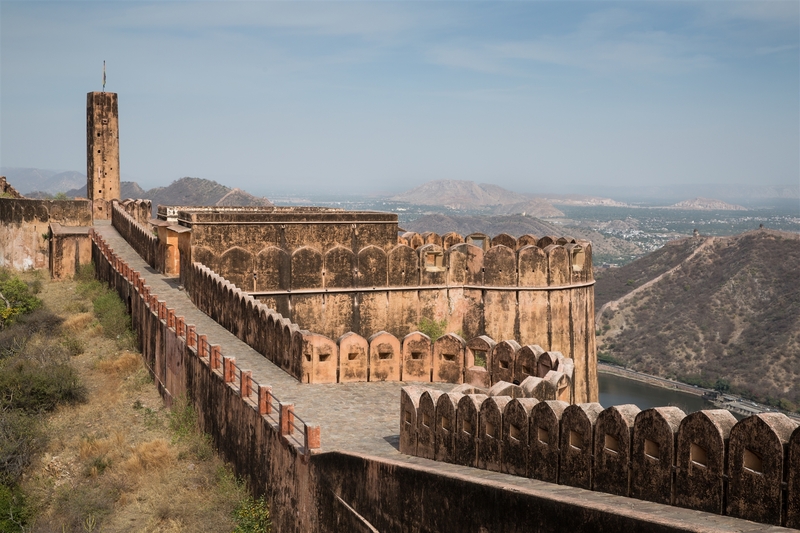 Originally built to protect the Amer Fort and the palace within the complex, the Jaigarh Fort is architecturally similar to the Amer Fort, and offers a panoramic view of the city of Jaipur. 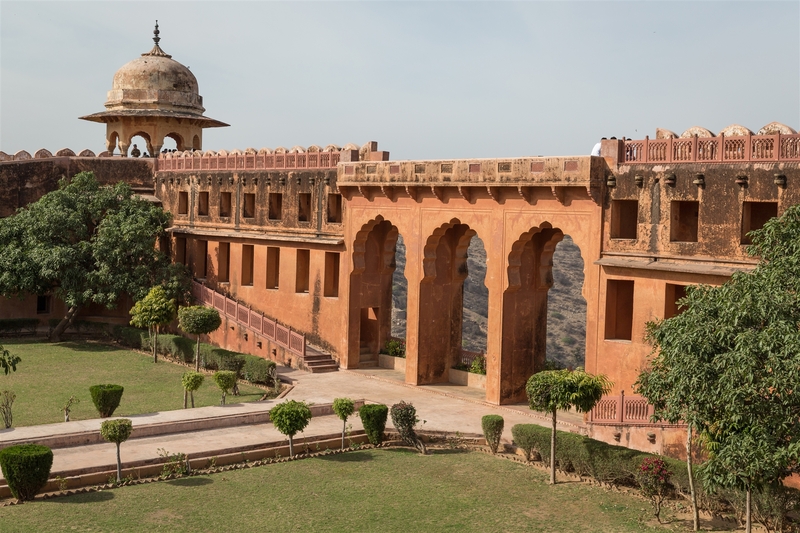 The fort houses the world’s largest cannon on wheels, a palace complex and the assembly hall of the warriors known as ‘Shubhat Niwas’ along with a museum and an armory. 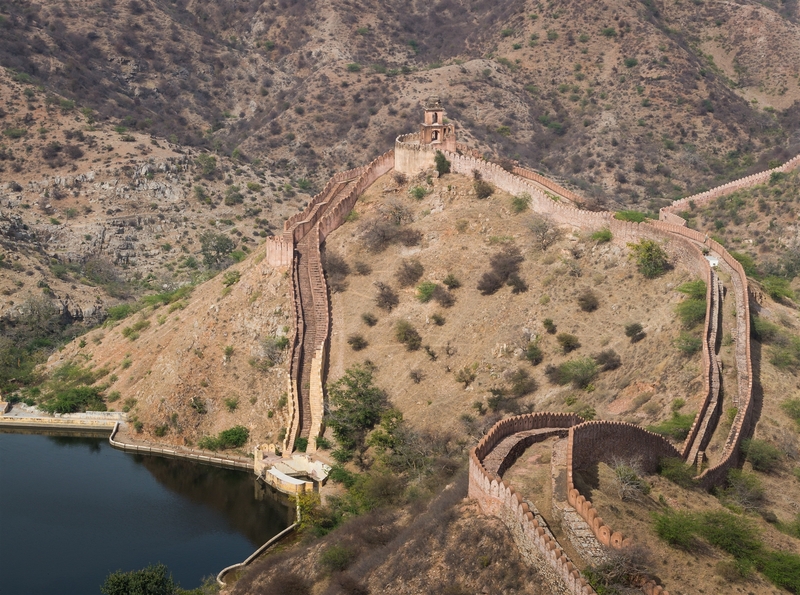 Walking around the fort complex will take some time, especially if you want to see the worlds largest cannon which is located far off at one end. 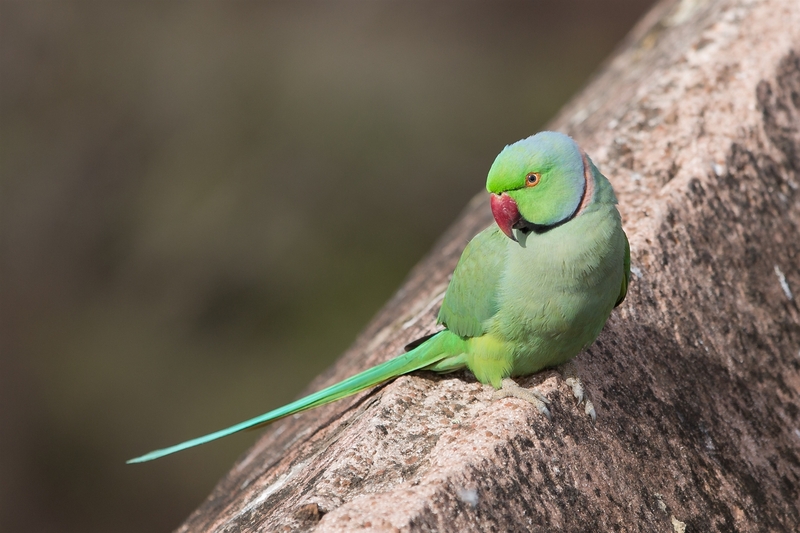 However, the views on offer is worth the effort, although I’d recommend not to do the exploring in the midday sun – opportunities for shade are scarce. 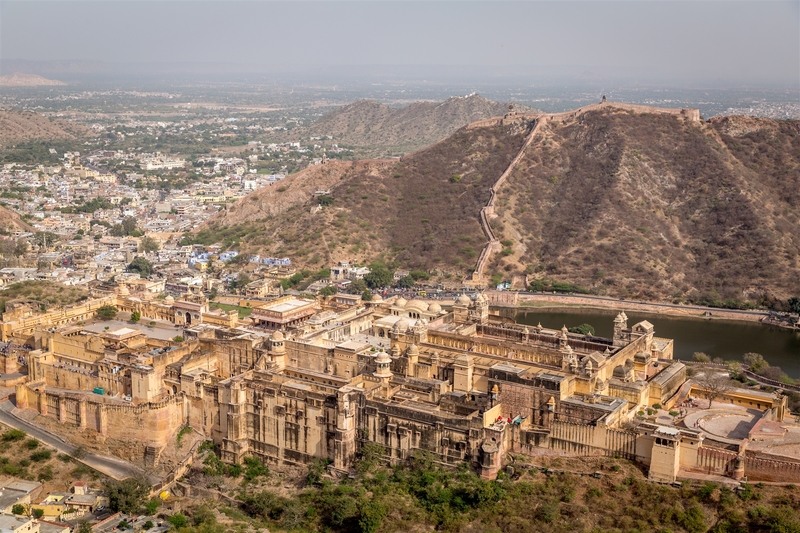 The best views on offer overlook the Amer Fort 400m below. 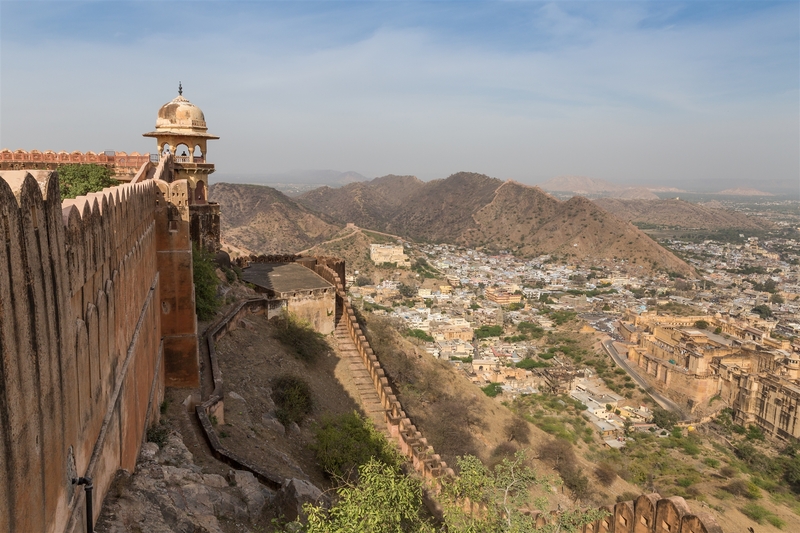 Apart from the intricate architecture of the fort, the fort was also renowned for a huge treasure that was believed to be buried under the fort. 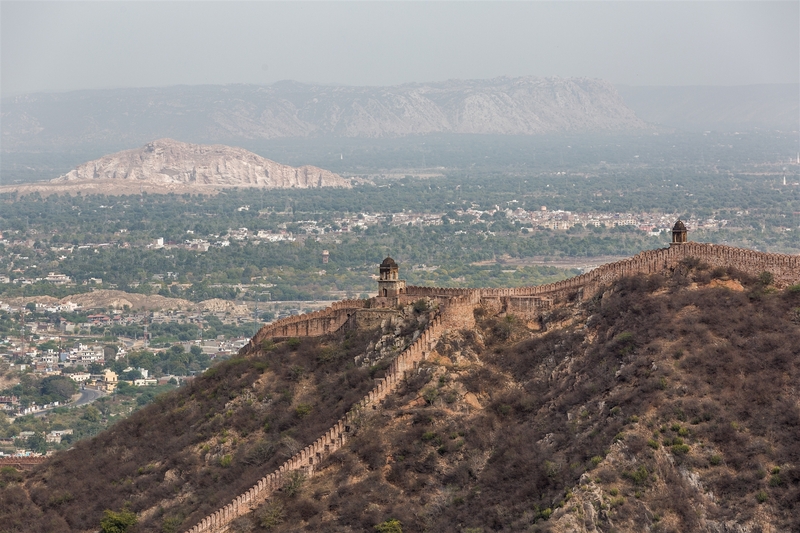 It is now said that the government of Rajasthan seized the treasure when it was discovered in the 1970s. 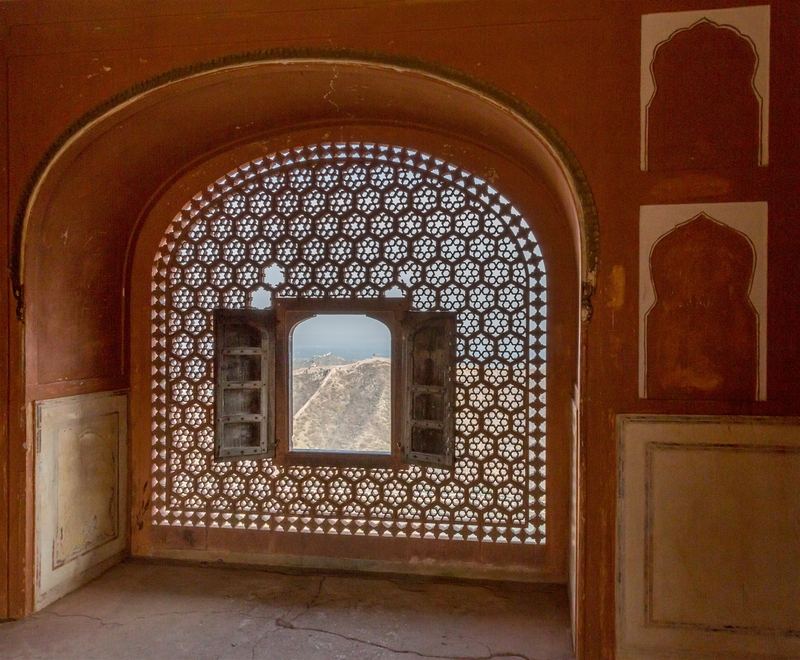 The Jaigarh Fort was built to secure Jaipur City and the Amer fort from warlords and rivals. 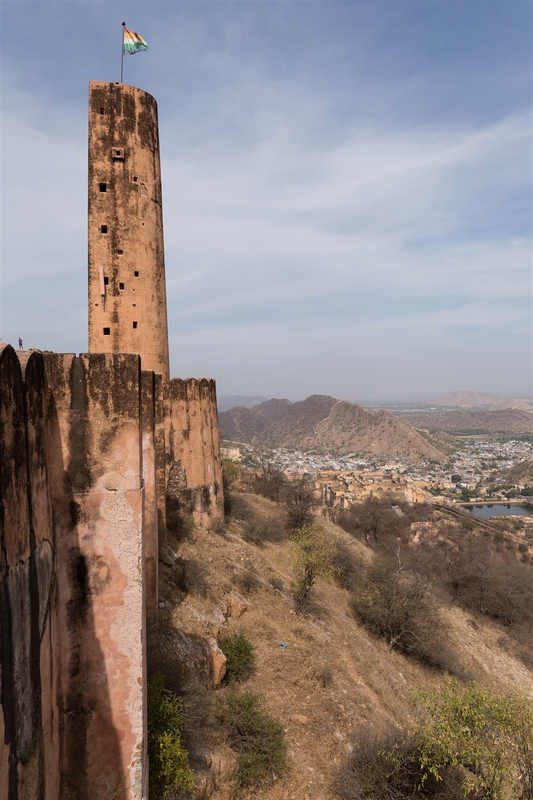 Jaigarh Fort is open 9am – 4.30pm.